This year's "pink moon" will appear in the sky again tomorrow, April 11, just like it's appeared around the same time every year since before humans walked the Earth. It refers to April's full moon, and cosmically, it wakes the world up for spring in the Northern Hemisphere, factoring into Jewish, Hindu, Islamic, and Native American traditions to name just a few. Other parts of the world refer to the pink moon as the Sprouting Grass Moon, the Egg Moon and the Fish Moon, all for cultural activities associated with this time of year. Let's get this out of the way first since some people appear to be confused: A "pink moon" does not mean the moon looks pink. Contrary to what some sites report it will not turn "millennial pink. True story. " No, the pink in the name "pink moon" refers to the springtime bloom of wild ground phlox -- pink flowers that strut their stuff around this time of year after the weather improves. Various months of the year have lunar phenomena associated with them, like the "harvest moon" in the fall or the "blue moon" which refers to the second full moon that appears in the span of one calendar month. None of them save the "blood moon" -- the reddish full moons you get during a lunar eclipse -- actually refer to moon's color. 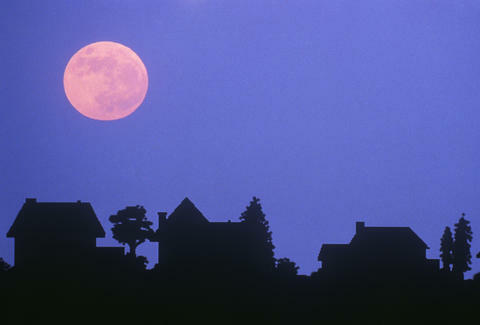 Instead, a stunning full moon will greet you Tuesday, April 11. In the US, Long Islanders and New Yorkers will get the first taste of it right around 8:01 p.m. EST this year. If you want to see it in its full lunar glory, be sure to look up.